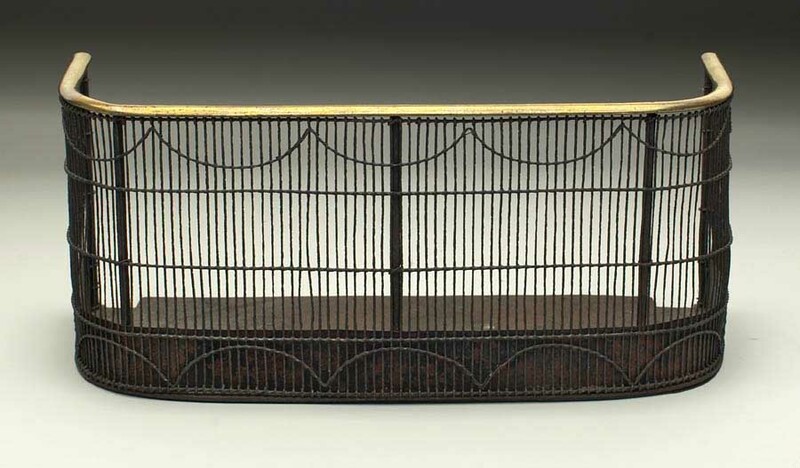 A wire Fireplace Fender with top gallery wrapped in brass. American or English c.1830. The fender retains the original iron pan and the wirework is further developed with swags.